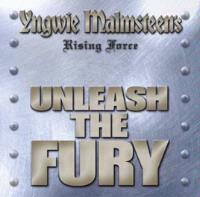 Yngwie Malmsteen's Rising Force released Unleash The Fury (Spitfire Records) on July 26, 2005. Rock fans will love this 18-song compilation of metal masterpieces. With 16 originals and two outstanding variations on Johann Sebastian Bach compositions ("Fuguetta" and "Paraphrase"), Malmsteen displays an inexhaustible fountain of musical creativity. 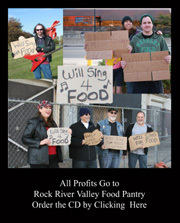 Malmsteen offers new insight into metal forays and classical guitar, developing unlimited versions of bridges and breaks. In Yngwie's world-renowned, neo-classical style, the guitar experiments continue with depictions of legends and battles of the days of old. Doogie White's rock opera vocals join Malmsteen's passionate guitar and bass playing for medieval themes. Heavy topics warrant heavy music, and Rising Force meets the challenge with riffs, licks, vocals and drums that fall into place naturally, nothing seeming out of place. Unleash The Fury is a prime example of how good heavy metal can be. CD-ROM Bonus clips feature Malmsteen demonstrating guitar techniques. This is a tough and tight tune that starts out with lightning-fast riffs and scales. A good opener for the CD, "Locked and Loaded" hearkens back to the metal of the 1980's. 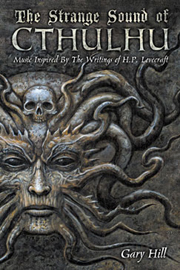 Bright progressions laid over dark thematic material emit a driving sense of purpose. Patrik Johansson's drums stand out here, carrying the listener through a high-speed chase to an adamant end. 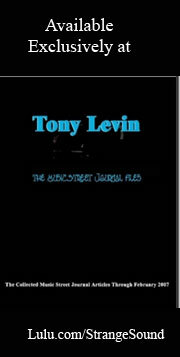 The miseries of stress are realistically invoked with frantic and dramatic tones on this one. An easy, melodic keyboard introduction leads into guitar parts and a soundtrack-style mood. More subtle than most of the other songs on the CD, this ballad effectively revives the age-old story about the life of a soldier. "Crown Of Thorns" is a highlight of the CD, providing an emotional dramatization about Christ's purpose and crucifixion. Malmsteen surpasses himself on the guitar work, and the melody line works itself out beautifully. This is one of the darker, more modern-sounding songs on the album. With an eerie purpose, Doogie White cries out, "I'm the ghost inside your head. I am the bogeyman." This one will please Goth fans everywhere. Furiously fast, "Beauty And A Beast" is a man singing about the beauty of the girl he loves. Precise and dynamic, this piece is laden with interesting movements. Malmsteen's variation on Johann Sebastian Bach's composition is exactly one minute long. With a harpsichordish guitar effect, Bach's work remains romantic and timeless. Background vocals lend a theatrical element to this ballad about the defeated warrior. Malmsteen's own lead vocals on this track are dominant throughout much of the song, but his echoing guitar takes over at the end, clearly signaling the demise of the celebrated hero. There is very little ceiling on this tune. All instrumental and all classical, it's Queen, Rick Wakeman, Elton John, and Beethoven all in one. This stands next to "Crown Of Thorns" as a feature of the CD. This one shifts through a variety of tempos before leading into a guitar solo fit for the gods. "Why do you tempt me so?" is the question posed here as the bard describes alcohol addiction with "I see the darkest visions inside my lonely prison." The delayed timing and deliberate deliveries are perfect for depicting a tortured mind. Malmsteen's scale running on this instrumental really is magical, and one can easily imagine a wizard creating "mayhem" on a mountain far away. Drums and guitar race like a team of thoroughbreds through a man's desperate attempt to relate the pain of separation from his homeland. White is a very convincing exile as he releases his lamentation "No longer do I roam on the shores that I love" to the heavens. Replete with suspense and thrills, fear and foreboding, "The Hunt" takes the listener on a macabre adventure. "Roulette" is a more standard metal choice with anti-establishment overtones and a steady rock beat. The title song features choral vocals and repetitive measures, working out a solidly modern feel. Malmsteen's variation on this Bach original pays homage to his inspiration while leaving the composer's intent fully intact.